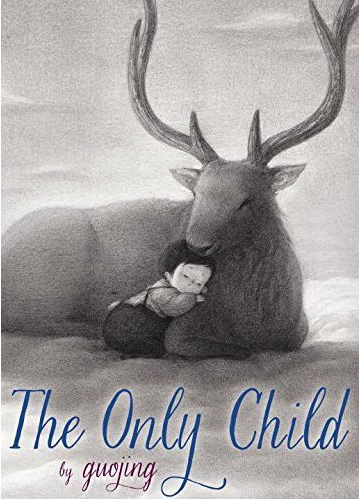 I’m Guojing and I am the author and illustrator of the award winning children’s picture book ‘The Only Child’. I would like to share with you my process of how I made this book. It took a long time working on mapping out the book - beginning with working out the plot. It was all about revising, revising and more revising before I felt the story was ready. When I felt the story was ready, I started to transfer the words to pictures using my pencil. At this stage I didn’t know which pictures would be best suited to this book. So I had to draw many sketches to find which ones would be the best match to what I had imagined in my mind. Here you can see the early process of the book. I decided not to put limitations on my creativity. I always try to draw with my imagination, as much as I can, and to see where this will lead me and this helped to shape the direction of the plot. 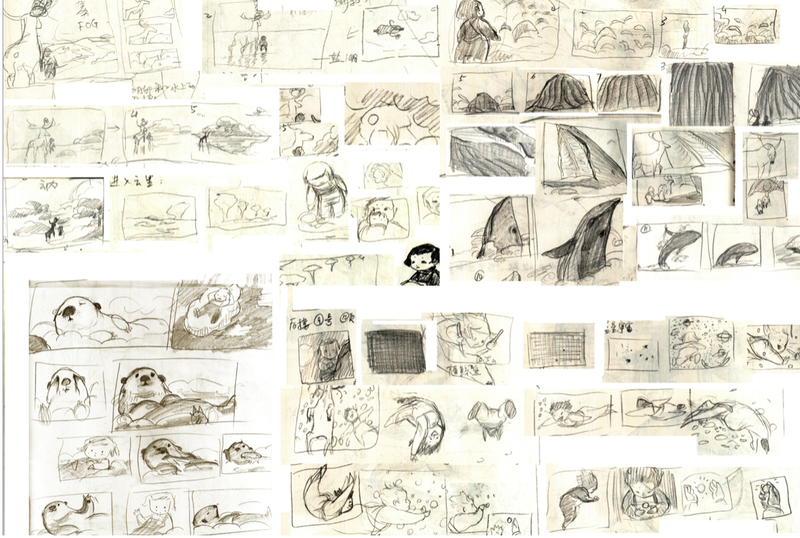 After lots and lots of sketching, I started the story board phase. I began by telling my story through the pictures. I find this one of the most interesting parts of the creative process of putting a book together. Imagine we can’t talk the same language, but you are able to understand my story just through my images. My intention was for readers to feel the emotion through each illustrated image. 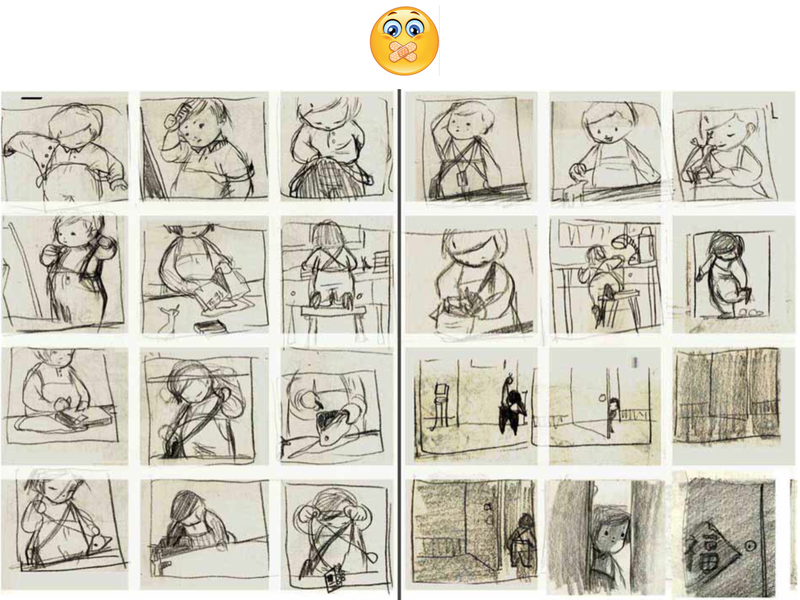 For the story board stage to work, I felt it incredibly important to catch the right emotional mood to convey the journey of the story. For example, in this picture the little girl has to leave her deer. In this sad part of the book, I wanted to express the emotion of the two main characters, who have become friends parting ways. I looked back on my memories when I have experienced parting from family and loved ones. I also listened to sad music when developing this section and found it helped me convey the mood of the story.  When the story board is all sketched out and ready, the next stage is the most exciting part (I think): the final drawing. 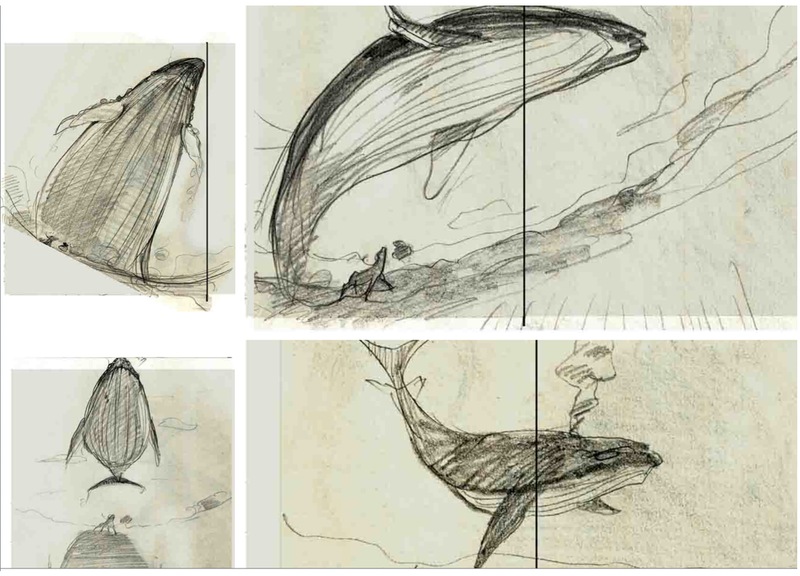 I pick the best spreads to be used in the final book layout. 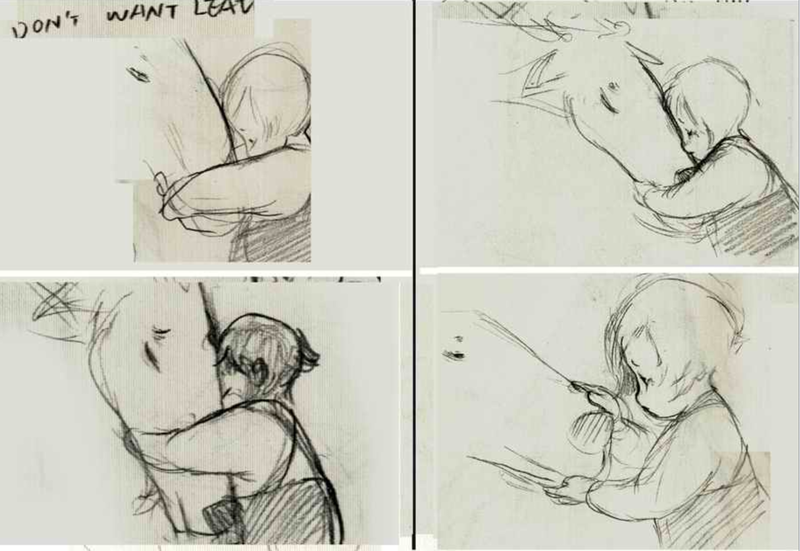 Here are two examples to compare between the sketch and the final picture. The process of making ‘The Only Child’ has been a wonderful journey for me. I really hope you enjoy this book as much as I enjoyed making it. ‘The Only Child’ is avialable in many languages. For the English language edition (published by Schwartz & Wade) you can buy online or in bookstores.